PHILLIP LIM IS ONE OF MY FAVORITE DESIGNERS AND I LOVE NARS COSMETICS. 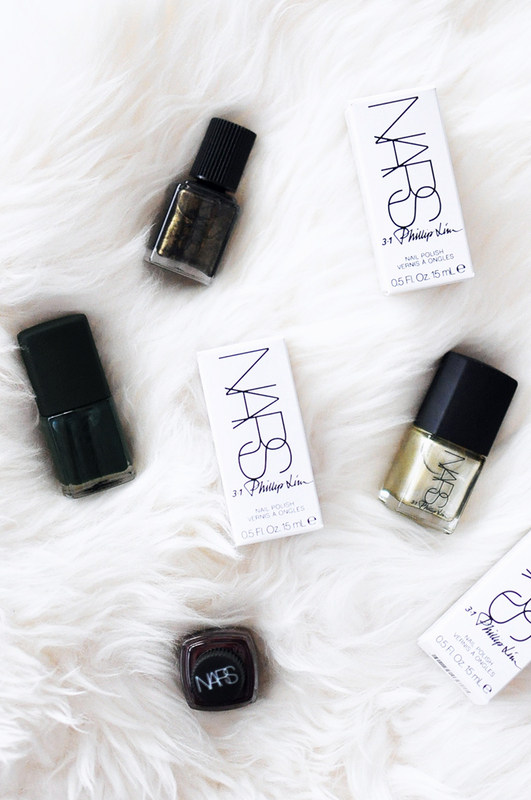 SO WITHOUT A DOUBT I HAD TO ADD TO MY EVER SO GROWING NAIL COLLECTION THE LIMITED EDITION OF THE 3.1 PHILLIP LIM X NARS COLLECTION. LIM CALLS THIS COLLECTION "CLASSIC WITH A BIT OF MADNESS." 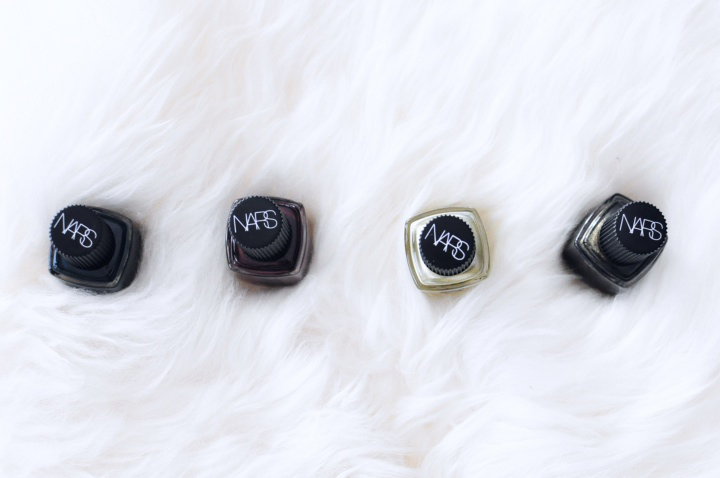 THE COLLECTION COMES IN 9 SHADES BRINGING THE PERFECT MIXTURE OF BOLDNESS, NEUTRALS & METALLICS. 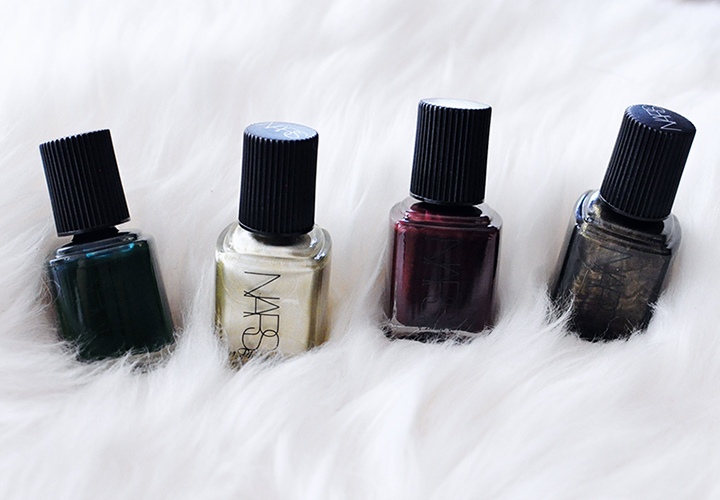 WITH IT BEING FALL, I WAS DRAWN MORE TOWARD THE DARKER HUES ("SHUTTER" - DARK GREEN, "OTHER SIDE" - DARK BURGUNDY ) & ONE OF MY FAVORITE POLISH SHADES, METALLICS ("GOLD VIPER" - LIGHT GOLD, "INSIDIOUS" - BLACK BRONZE). 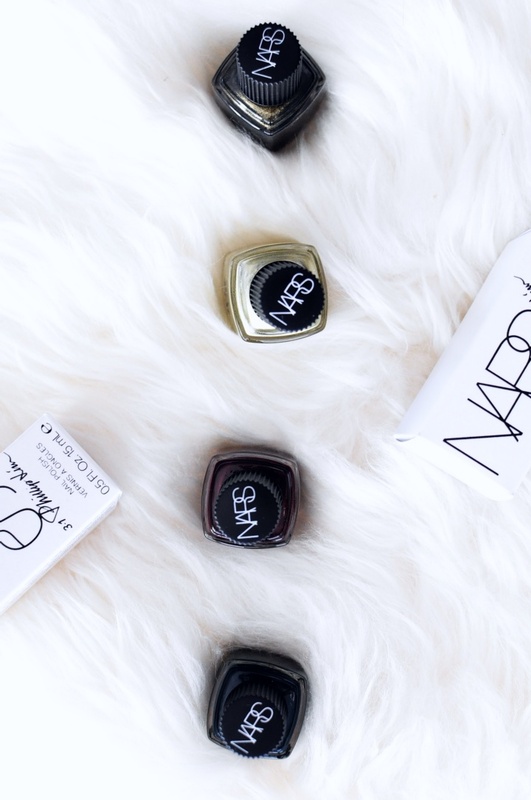 IF YOUR LOOKING FOR A NEW SHADE...THIS COLLECTION IS DEFINITELY WORTH CHECKING OUT. I GUARANTEE YOU'LL HAVE TROUBLE SETTLING ON JUST ONE - LIKE ME! AS A SIDE NOTE. . .OTHER THAN THE COLORS, WHAT I LOVE ABOUT THESE POLISHES IS THE NEW & IMPROVED BRUSH! THE TIP OF THE BRUSH IS FLAT, WIDE & CURVED IN A U-SHAPE MAKING IT EASY TO PAINT AROUND YOUR CUTICLES.